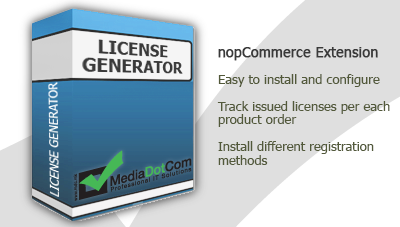 If you need to easily manage your digital download licenses on your nopCommerce site, then MDC License Generator is the right solution for you. This plugin integrates with nopCommerce on its built events alowing to generate license file on order payed event. The plugin is fully localizable. A complete list of the localization resources used is shown for your convenience. - Easy to install and configure from the nopCommerce Admin panel. - Allows to create rules based on different method plugins. - Reports for rule history, method history. - Message template for customer notification with attached license file. - C# project for custom method plugins where you can define your license algorithm. - Comes with 1 year FREE Support and 1 year FREE Updates. - Developed according to nopCommerce and Microsoft technology standards and coding guidelines. - Tested with all major browsers. Get in touch. Share and discuss your experience here. Ask questions or report issues at our Help Desk. 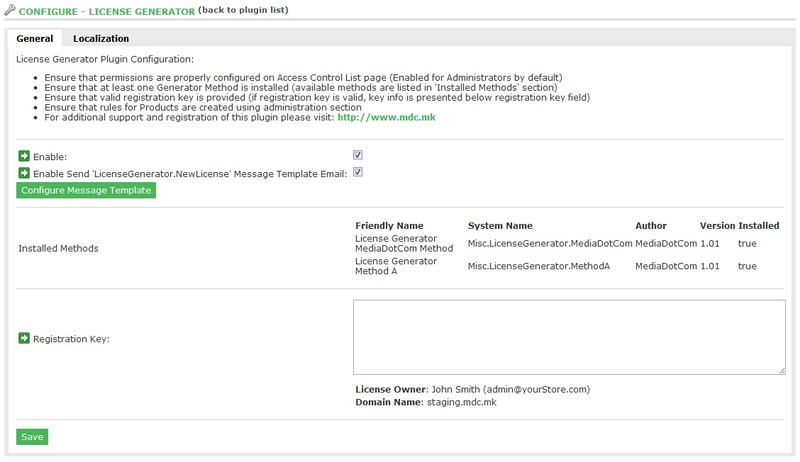 Find out more about License Generator and other products from MediaDotCom Knowledge Base. 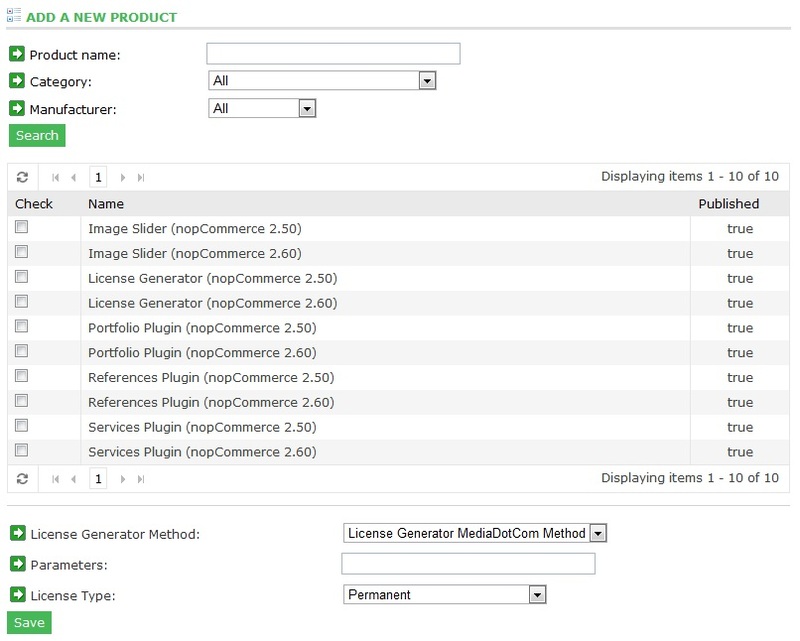 Q: How do I use the License Generator? Q: What do I do if I find a bug? A: Please report all bugs on this page.